Equip your boats with the high-quality marine products we offer here at A-1 Marine Products in Humble, TX, and enjoy a better, smoother fishing experience! We have a wide selection of fish finders, map cards, and other essential marine items in stock. Our team is knowledgeable and well-trained in dealing with all types of marine products, and we promise to help you find the specific items you are looking for. Make A-1 Marine Products your source for marine products. We guarantee to match products to your needs perfectly. We are more committed to providing you with the marine products that fit your purposes, than simply moving product. Whether you need fish finders, electronic mounts, or something else, we have you covered. Give us a call or send us an email today to learn more about us and the variety of products we offer. Make A-1 Marine Products your go-to marine product retail store and be guaranteed to receive items that meet your needs. 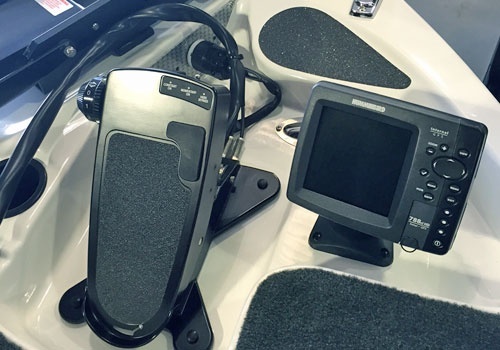 Rather than exerting our efforts in offering high-end models, we are more committed to providing you with the marine products that fit your purposes. Whether you need fish finders, electronic mounts, or something else, we have you covered. Give us a call or send us a message today to learn more about our store and the variety of marine products we offer.